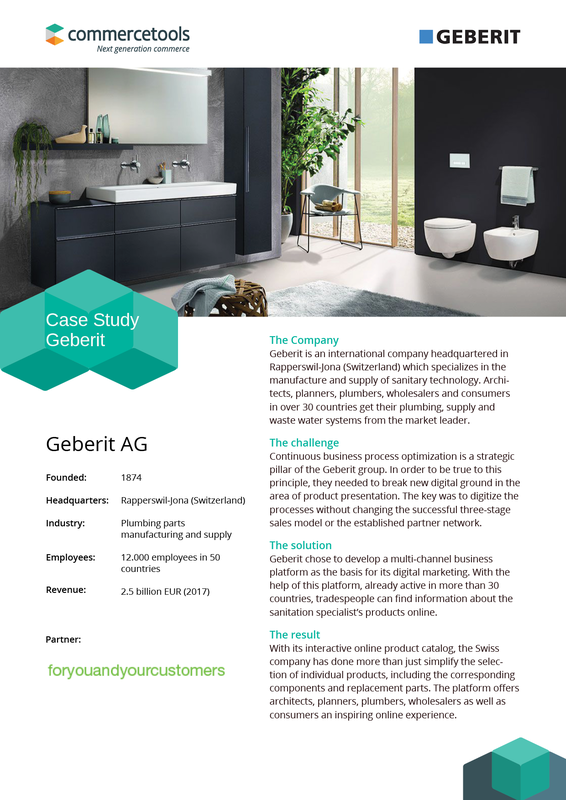 Interactive for a coordinated bathroom: Geberit is not merely the European market leader for sanitary products and a pioneer in the industry: with its new online catalog, Geberit is also setting new standards in online sales. The interactive online product catalog for B2B customers offers architects, planners, plumbers, wholesalers as well as consumers an inspiring online experience and a bunch of information. You can find the product cataloge here.